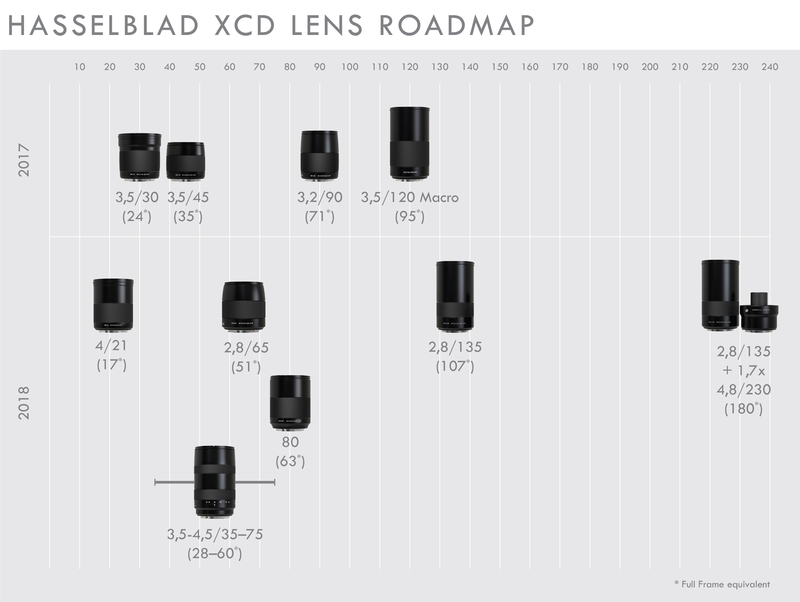 Hasselblad updates the XCD Lens roadmap for the award-winning X1D-50c with the XCD 135mm and the 80mm lenses, rapidly expanding the XCD Lens range to a total of nine dedicated lenses. By end of 2018, X1D users will have a wide range of lens options to maximize their creative vision. The XCD 2.8/135 lens comes with a dedicated 1,7x converter that extends the tele lens to 4,8/230, while the XCD 80mm is set to become the highest aperture lens that Hasselblad has ever introduced. In addition to these two new lenses, the previously announced XCD 22mm ultra-wide-angle lens has been updated to 21mm to meet Hasselblad users’ demands for a better wide-angle lens experience. Like the existing XCD Lenses, all new XCD Lenses have an integral central shutter offering a wide range of shutter speeds and full flash synchronisation up to 1/2000th second. Hasselblad is also releasing aperture details for previously announced XCD Lenses: the XCD 21 ultra-wide-angle lens will feature f/4.0, the XCD 35-75mm zoom lens will have f/3.5-4.5, and the XCD 65mm lens will have f/2.8. All new XCD Lenses, besides XCD 80mm, are expected to be available during the first half of 2018, while the XCD 80mm high aperture lens is planned for the second half of 2018. The demand for the previously announced XCD 120mm macro lens and the XH Lens Adapter exceeded Hasselblad’s expectations, but the production is now being ramped up and orders are being fulfilled globally. In addition to the nine dedicated XCD Lenses, the XH Lens Adapter allows X1D owners to use all twelve HC/HCD Lenses. Pricing and additional technical specifications will be provided closer to the availability of each lens. Specifications are subject to change.